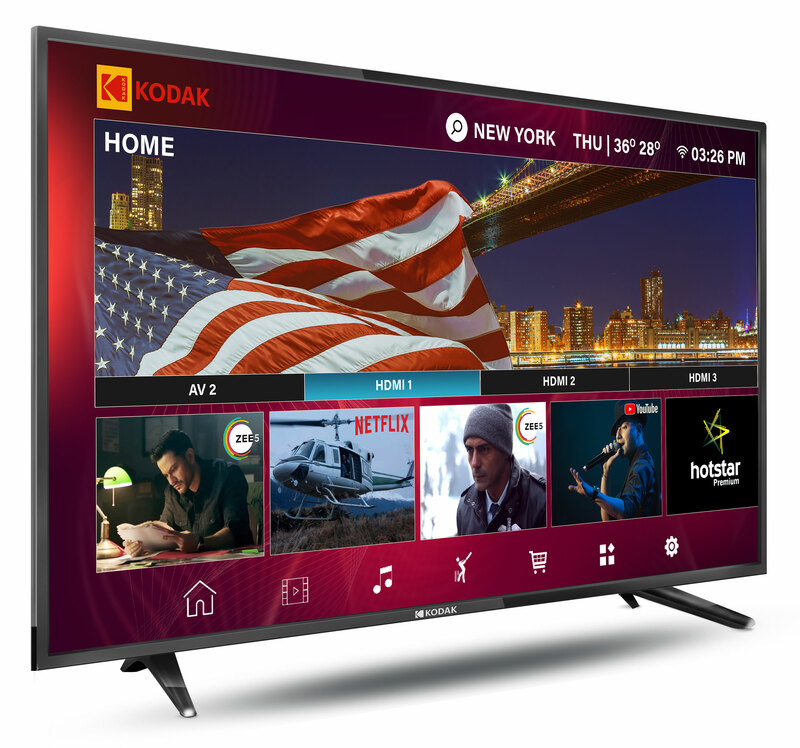 Super Plastronics, a Kodak brand licensee, has launched its new Kodak XPRO series of Smart HD LED TVs. The company has introduced two new models under the series namely Kodak 32HDXSMART XPRO and 40FHDXSMARTXPRO TVs. Kodak 32HDXSMART and 40FHDXSMART XPRO TVs will be available exclusively on Flipkart at an exclusive price of 10999 & 16999, till 20th April, respectively. The 32-inch HD Plus variant comes with a resolution of 1366 x 768 pixels with display size of 80 cm while the 40-inch FHD variant has a resolution of 1920 x 1080 with a display size of 102 cm. These latest offerings are equipped with Kodak smart wall which comes with intelligent features such as Wi-Fi, USB connectivity, and is pre-loaded with Apps like GMAIL, YOUTUBE, TWITTER, FACEBOOK, HOTSTAR and NETFLIX. This series come equipped with Quad Core 1.5 Ghz, a 1 GB memory and flash storage of up to 8 GB. You may recall the company has launched earlier televisions under HD, FHD and UHD series and today’s announcement of the newly launched series has further strengthened the SPPL’s commitment to expand and refine its product line in India for affordable segment.